Clean the chicken pieces and pat dry them. In a container add the ginger garlic paste, turmeric powder, red chilly powder, garam masala powder, salt, pepper powder, lemon juice and mix them to fine paste. Now add the chicken pieces to the masala and mix them enough to coat the masala evenly. Cover and refrigerate for minimum 1/2 an hr. Heat a kadai with oil and fry the curry leaves, dry red chilly when the oil is slightly hot. Add the marinated chicken pieces and saute them in the hot oil for couple of minutes. Now add a cup of water to the chicken and mix well. Cover the kadai and cook the chicken on medium flame until the chicken is cooked, might take 5 minutes and the water is gone. 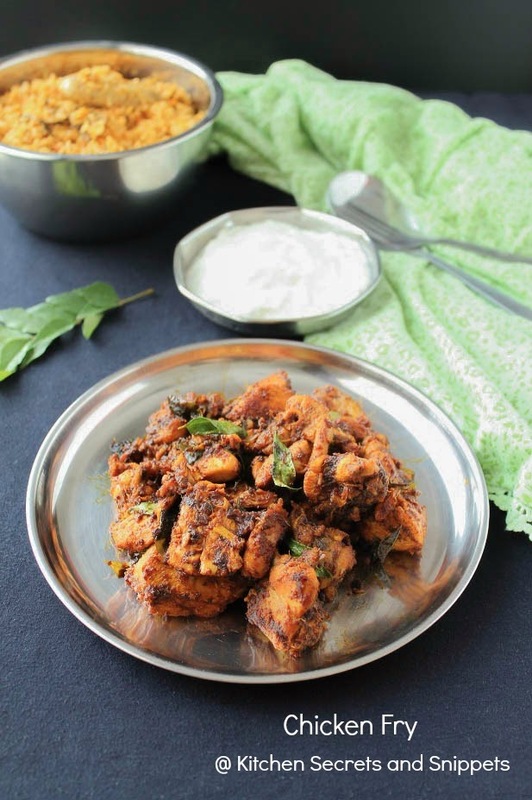 Turn the heat to low and slowly fry the chicken until everything comes together and the masala turns dry. Add little more curry leaves to dish and combine well once again. Switch off and serve with Rice/Roti. Heat a kadai with oil and fry the curry leaves when the oil is slightly hot. Add the marinated chicken pieces and saute them in the hot oil for couple of minutes. 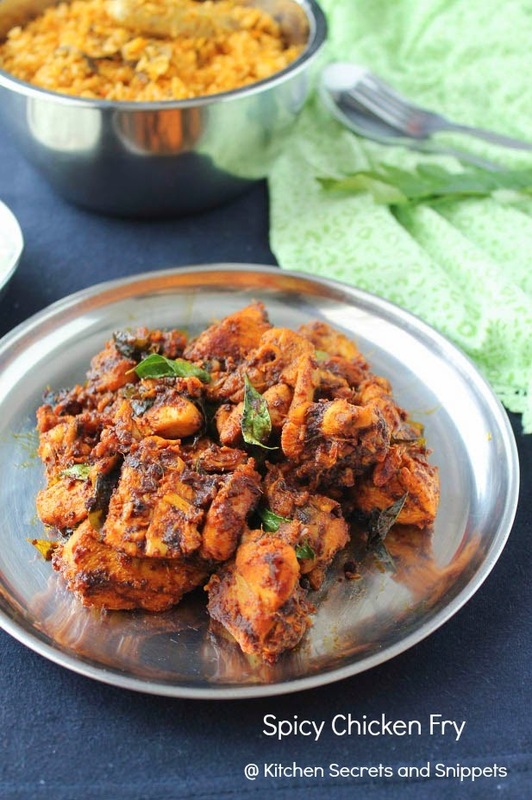 Simply yummy and delicious looking spicy chicken. Excellent preparation.